The entire content of this website is copyrighted to THINKPRO, LLC and should never be reproduced/ copied to another website without written authorization from the owner. Website that are scraping content in the form of RSS feeds, bots, or manual methods will be reported to their web host with a DMCA take down notice. THINKPRO, LLC ("us", "we", or "our") operates the thinkproedu.com website (the "Service"). While using our Service, we may ask you to provide us with certain personally identifiable information that can be used to contact or identify you. If you supply us with your e-mail address, we may let you know by e-mail about other products and services and product enhancements that may be of interest to you. You will have the opportunity to tell us you don't want to receive future messages with each message you receive. If you e-mail a question or comment to us, we will use your e-mail address to reply to you and we will temporarily store your e-mail address, your message and our reply for quality assurance or to satisfy applicable laws and regulations. When we collect your e-mail address this way, we won't use it for marketing our products and services unless you have given us permission. Unless otherwise stated, THINKPRO and/or its licensors own the intellectual property rights in the website and material on the website. Subject to the license below, all these intellectual property rights are reserved. You must not conduct any systematic or automated data collection activities (including without limitation scraping, data mining, data extraction and data harvesting) on or in relation to this website without THINKPRO express written consent. This website is provided “as is” without any representations or warranties, express or implied. THINKPRO makes no representations or warranties in relation to this website or the information and materials provided on this website. These limitations of liability apply even if THINKPRO has been expressly advised of the potential loss. 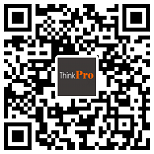 THINKPRO is committed to providing editorial services at affordable prices. However, THINKPRO is not obligated to refund the purchase price of any service under any circumstance unless explicitly agreed to by THINKPRO. If applicable, any refund will be granted within ten business days from receipt of a request. Price, terms, and availability are subject to change without notice. All prices quoted are in U.S. dollars (USD) unless otherwise stated. THINKPRO and its affiliates reserve the right to limit quantities, to request payment prior to delivery of service, to refuse service, or to cancel orders at its sole discretion. Purchase prices and invoices may be based on information that you provide to us, including the word count of the documents you are submitting for service. You represent and warrant that such information is accurate, and you agree to pay to THINKPRO any additional charges arising from any inaccuracy in such information within seven days of notification thereof. THINKPRO is not obligated to verify the accuracy of such information but will refund to you any overpayment arising from inaccuracy therein within five business days of the discovery thereof. THINKPRO may, at its sole discretion, offer monthly invoicing arrangements to regular business and personal customers and agree to additional or modified terms for such arrangements. Unless otherwise agreed to in writing, payment is due when an invoice is rendered. • matter which it would be illegal or unlawful for THINKPRO to exclude or limit, or to attempt or purport to exclude or limit, its liability. You accept that, as a limited liability entity, THINKPRO has an interest in limiting the personal liability of its officers and employees. You agree that you will not bring any claim personally against THINKPRO officers or employees in respect of any losses you suffer in connection with the website. You hereby indemnify THINKPRO and undertake to keep THINKPRO indemnified against any losses, damages, costs, liabilities and expenses (including without limitation legal expenses and any amounts paid by THINKPRO to a third party in settlement of a claim or dispute on the advice of THINKPRO legal advisers) incurred or suffered by THINKPRO arising out of any breach by you of any provision of these terms and conditions[, or arising out of any claim that you have breached any provision of these terms and conditions]. Without prejudice to THINKPRO other rights under these terms and conditions, if you breach these terms and conditions in any way, THINKPRO may take such action as THINKPRO deems appropriate to deal with the breach, including suspending your access to the website, prohibiting you from accessing the website, blocking computers using your IP address from accessing the website, contacting your internet service provider to request that they block your access to the website and/or bringing court proceedings against you. THINKPRO may revise these terms and conditions from time-to-time. Revised terms and conditions will apply to the use of this website from the date of the publication of the revised terms and conditions on this website. Please check this page regularly to ensure you are familiar with the current version. THINKPRO may transfer, sub-contract or otherwise deal with THINKPRO rights and/or obligations under these terms and conditions without notifying you or obtaining your consent. These terms and conditions will be governed by and construed in accordance with the laws of California, and any disputes relating to these terms and conditions will be subject to the [non-]exclusive jurisdiction of the courts of California. Copyright © 2018 THINKPRO,LLC. All rights reserved.